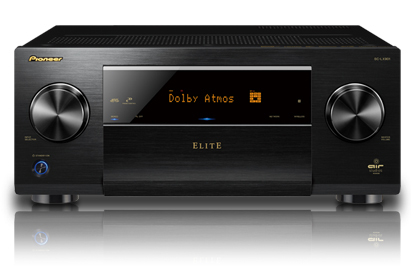 The Elite® SC-LX801 featuring 9.2-ch Class D3 amplifier is fully-equipped for the latest multi-dimensional surround sound formats, DTS:X and Dolby Atmos®, featuring the Reflex Optimizer for Dolby enabled speakers. With Ultra HD (4K/60p/4:4:4) upscaling/pass-through and HDR/BT.2020 standards ready, 4K images are ever more impressive. In addition to internet radio and various network streaming services, with Google Cast * built-in you can use your mobile device to cast your favorite music to the SC-LX801. The multi-zone feature supports powered ZONE 2/ZONE 3 output.